BMW is making proposals for a new entry-level M vehicle based around a new saloon edition of the second-generation 1-series. The compact four-door car plans to provide the company with a direct competitor to the forthcoming Mercedes-Benz CLA45 AMG as well as Audi S3 saloon. Owing to the heavy engineering workload confronting BMW on subsisting new model progress, the compact M Performance saloon is not likely to reach the UK market until the second half of the year 2015 at the earliest. As per BMW researches, the market for compact performance saloons is ready for high growth in major market zones comprising China and North America. With both the S3 saloon and CLA45 AMG all set to hit markets before 2013 end, the company functionaries are eager to fast-track the innovative model, probably with contracted technology. “There has been a wholesale shift in the market,” said a source. A thick covering of confidentiality encircles the company’s junior saloon proposals. But, the sources can disclose that the company is thinking over two disparate plans. 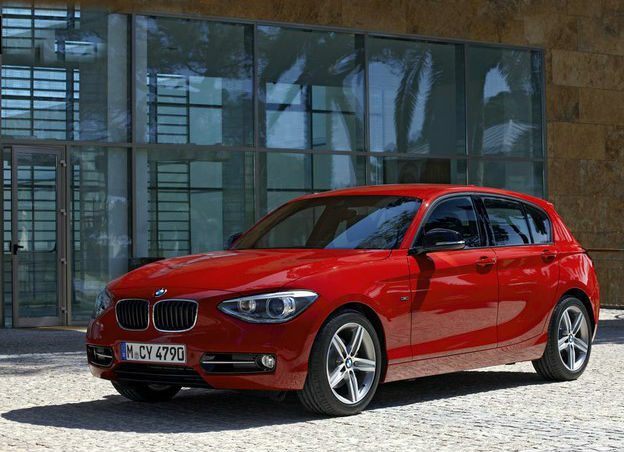 The initial plan focuses on the subsisting back-wheel-drive 1-series. The second plan comprises the firm’s new front-wheel drive platform disclosed at the Paris motor show during September.